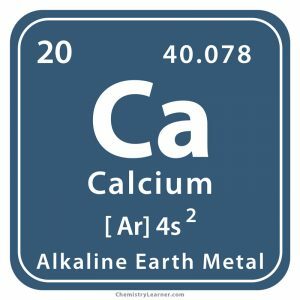 Calcium (pronunciation KAL-see-em ), represented by the chemical symbol or formula Ca , is a soft element belonging to the family of alkali earth metals . 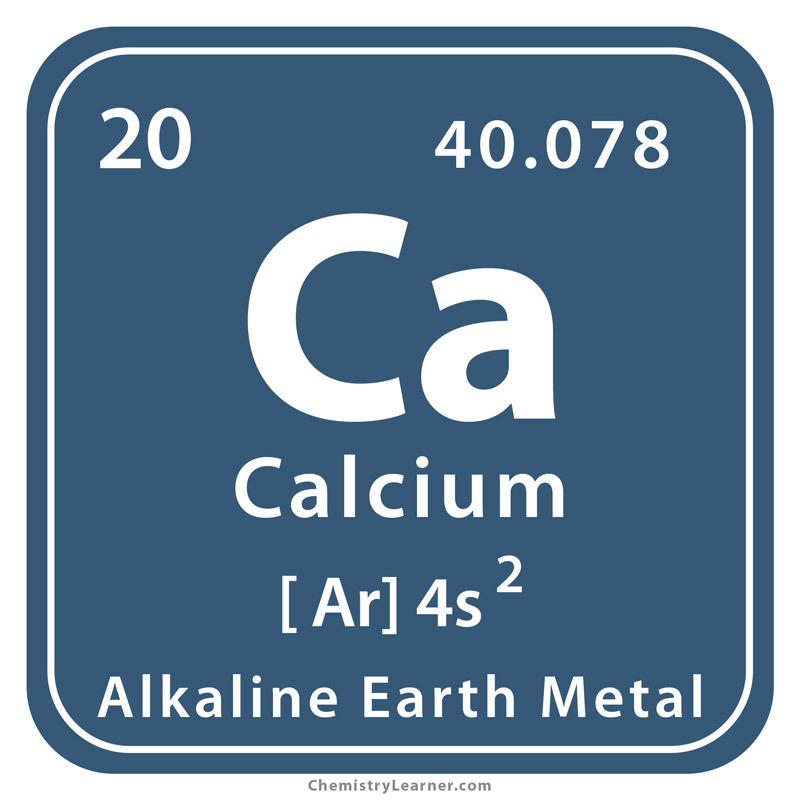 Naturally occurring Ca is a mixture of 6 isotopes with mass numbers 40, 42, 43, 44, 46 and 48 [1, 3]. Besides that, it has 19 synthetic, radioactive isotopes with known half-lives . It slowly reacts with water to form calcium hydroxide and hydrogen gas. The surface of the metal remains covered by a thin layer of its oxide that prevents further attack by air (oxygen). When heated in air, it burns to produce a mixture of calcium oxide and calcium nitride. 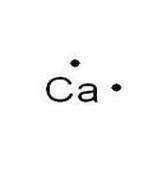 It is highly reactive towards the halogens chlorine, bromine, iodine and fluorine to form calcium dihalides . The fifth most abundant element on the earth’s crust is not found in an uncombined state in nature. Its commonest forms are limestone (calcium carbonate), fluorite (calcium fluoride), gypsum (calcium sulfate) and apatite (calcium fluoro- or chloro-phosphate). Hard water has calcium bicarbonate dissolved in it. When it seeps through the ground and reaches a cave, it precipitates in the form of stalactites and stalagmites . 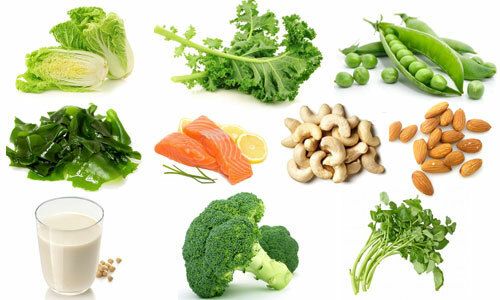 Main calcium-rich foods are dairy products such as milk, yogurt, cheese, etc. 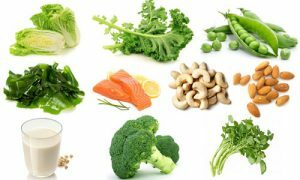 Other non-diary dietary sources are legumes, leafy green vegetables, tofu, dried fruits, seafood and other foods fortified with calcium . Origin of Its Name: Its name is derived from the Latin word “calx” meaning lime (limestone is an ore of Ca) . 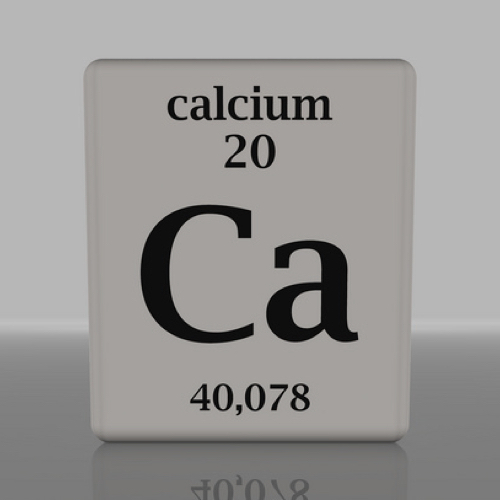 Who Discovered Calcium: Cornish chemist, Sir Humphry Davy . When Was It Discovered and Where: It was discovered in 1808 in London [1, 3]. For centuries plaster and mortar were made by heating limestone into lime (calcium oxide). French chemist, Antoine Lavoisier classified lime as an ‘earth’ since it seemed impossible to reduce it any more. However, he suspected that it could be the oxide of an unknown element. In 1808, Davy tried to reduce moist lime by the process of electrolysis but found no success. Next, he tried to electrolyze a mixture of lime and mercury oxide. 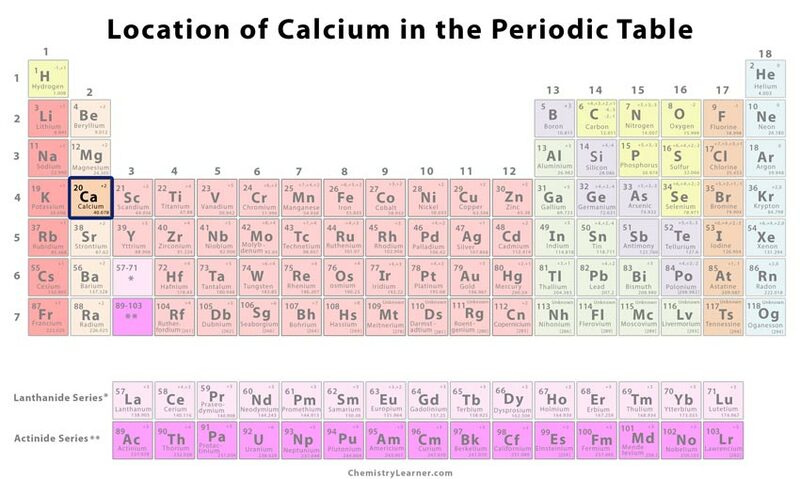 Though it did produce an amalgam each of calcium and mercury, the quantity was not enough to establish the existence of a new element. Then he added more lime to the mixture producing a greater amount of the amalgam. 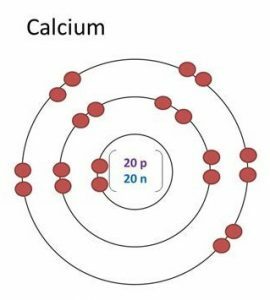 From it, he removed the mercury by distillation and obtained pure calcium . As a reducing agent in synthesizing other metals such as uranium and thorium . As an alloying agent for copper, beryllium, lead, magnesium and aluminum alloys . Its compounds have a huge application. Limestone is largely used as a building material. Slaked lime (calcium hydroxide) is used in making cement, in the chemicals industry, in water treatment to decrease its acidity, removing impurities from molten iron ore in steel-making, and as a soil conditioner. Gypsum (calcium sulfate) is used as plaster, ‘plaster of Paris’ by builders, for setting bones by nurses. .
Calcium is non-toxic. It is an essential mineral for all living things. It is particularly important for the development of healthy bones and teeth, calcium phosphate being the main ingredient of bones. An average human being contains about 1 kilogram of calcium [1, 3]. The recommended daily intake (RDI) of Ca is 1,000 mg per day for adults. However, men above 70 and women above 50 years should get 1,200 mg of it every day. For children aged between 4-18 years and pregnant women, the amount is 1,300 mg and 1,200-1,400 mg respectively [16, 18]. 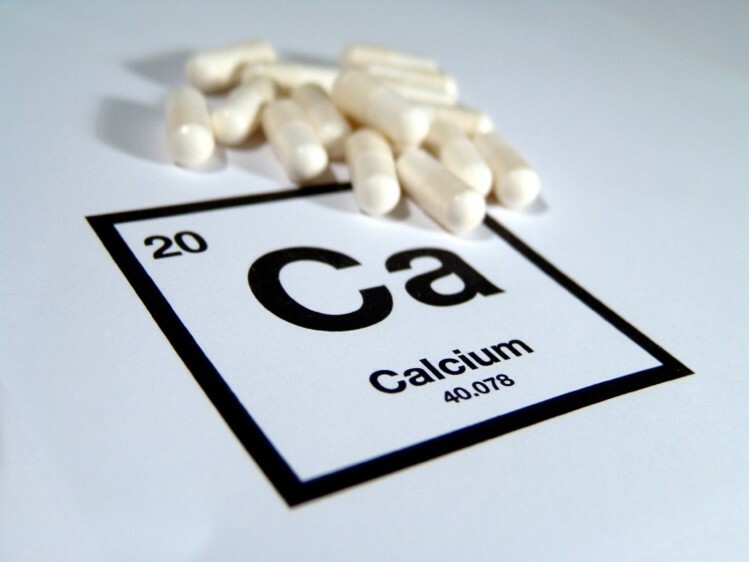 Calcium deficiency can lead to osteoporosis, osteopenia, hypocalcemia, and other diseases . It is the most abundant of all the metallic elements constituting the human body . With a bit of effort, it can be cut by a sharp knife that is quite uncommon for a metal . 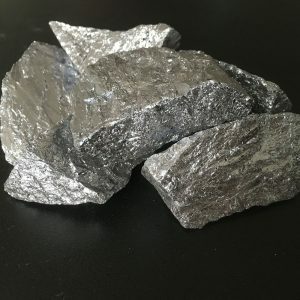 The pure metal is priced at $20 for every 100 gram .